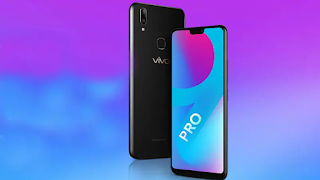 Chinese smartphone maker Vivo has launched the Vivo V9 Pro smartphone in India. The look and design of this smartphone largely meets Vivo V9. This smartphone was launched in Indonesia in June. Apart from Vivo V9, Vivo V9 Youth has also been launched in India this few months ago. This smartphone will compete directly Nokia 6.1 Plus of HMD Global. Come on, know about the features of this smartphone. Talking about the specifications of this smartphone, it has a 6.3-inch full HD Plus display just like Vivo V9. The display's resolution is 2280x1080 and the aspect ratio is given at 19: 9. The display has a notch feature and screen to body ratio is 90 percent. Talking about the phone processor, Snapdragon 660 SOC chipset processor has been given in it. Processor with Kryo 260 CPU and Adreno 512 GPU is equipped in it. The phone has 6GB of RAM and 64GB internal memory. Memory of the phone can be increased to 256GB via MicroSD card. The phone comes with dual rear camera setup. The primary 13-megapixel camera has been given, which has an aperture f / 2.2. Secondary camera has been given 2 megapixels. For the selfies it has a 16 megapixel camera. Speaking of the phone's connectivity feature, it has 4G VoLTE dual band Wi-Fi. The phone has a battery of 3,260 mAh. The phone works on the Android Orio 8.0 operating system and the Fantastic OS. South Korean smartphone maker Samsung launched Galaxy J4 + and Galaxy J6 +. Both of these phones have a 6 inch large HD + infinity display. The Indian price has not been told at this time. But it can be announced soon. Samsung Galaxy J6 + can be bought in black, grey and red colour variants and Galaxy J4 + in Black, Gold and Pink colour variants. Samsung Galaxy J4 + works on Android 8.1 Orio. The phone has a 6-inch HD + infinity display. Its pixel resolution is 720x1480. As well as the aspect ratio is 18.5: 9. This phone is equipped with a 1.4 GHz quad-core chipset. It has 2 GB and 3 GB RAM. Also, 16 GB and 32 GB of storage are provided. For photography, the phone has a 13-megapixel rear camera with LED flash. Its archers are F / 1.9. At the same time, a 5-megapixel front camera is provided with the F / 2.2 deadline. To give power to the phone, 3300 MAH batteries have been given. For connectivity, the phone has features such as 4G VoLTE, single-band Wi-Fi 802.11 B / G / N, Bluetooth version 4.2, GPS, NFC and 3.5 mm headphone jack. Galaxy J6 + successor of samsung j6 works on Android 8.1 Orio. The phone has a 6-inch HD + infinity display. Its pixel resolution is 720x1480 Aspect ratio is 18.5: 9. This phone is equipped with a 1.4 GHz quad-core chipset. It has 3 GB and 4 GB RAM. Also, 32 GB and 64 GB of storage are provided. The phone has a dual rear camera for photography. Its first sensor is 13 megapixels with F / 1.9, and the second sensor is F / 2.2, with 5 megapixels. At the same time, an 8-megapixel front camera is provided with the F / 1.9 deadline. To give power to the phone, 3300 MAH batteries have been given. 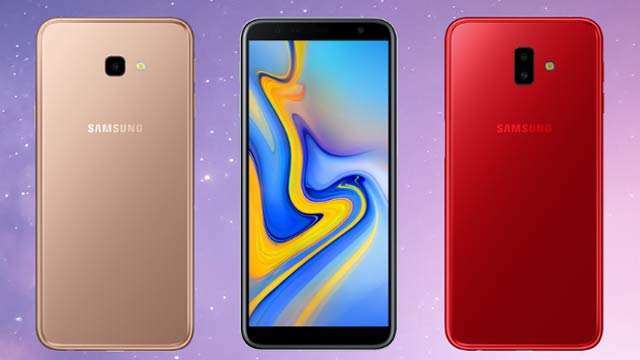 For connectivity, the phone has features such as 4G VoLTE, single-band Wi-Fi 802.11 B / G / N, Bluetooth version 4.2, GPS, NFC and 3.5 mm headphone jack. 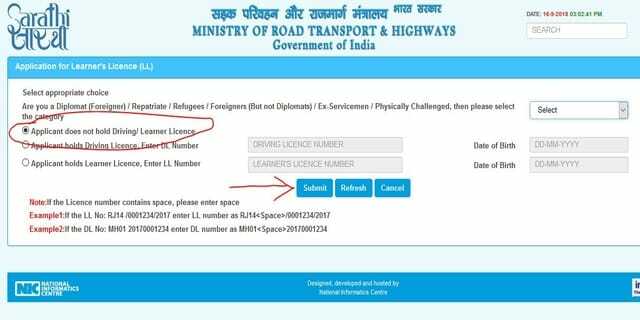 Friends do you know, now you can apply for driving licence online very easily. 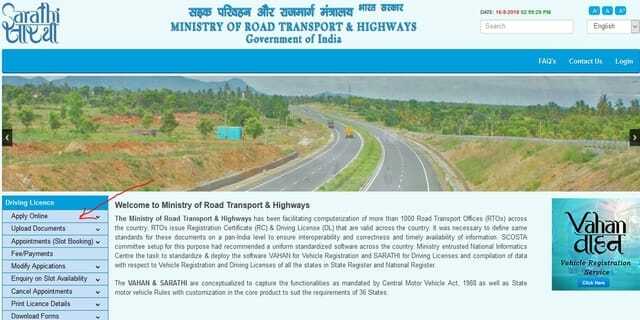 I am going tell you that how can you apply driving licence(DL) online, step by step- Please read the full article, otherwise you may face some issue. First of all, go to www.google.com and search "Parivahan". You will be shown this page. 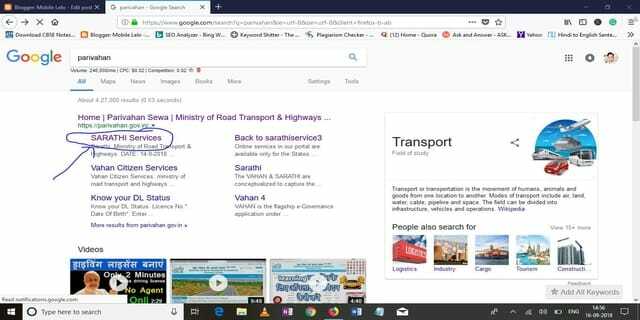 Click on the Sarathi services. 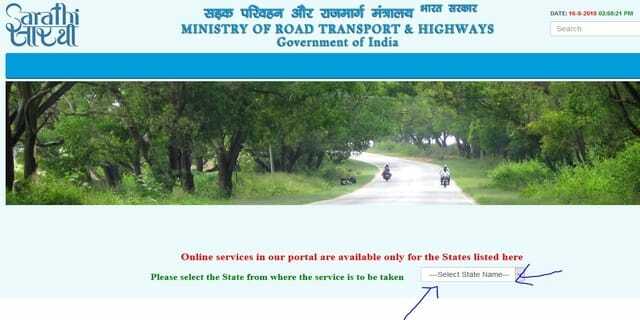 Now select your state. 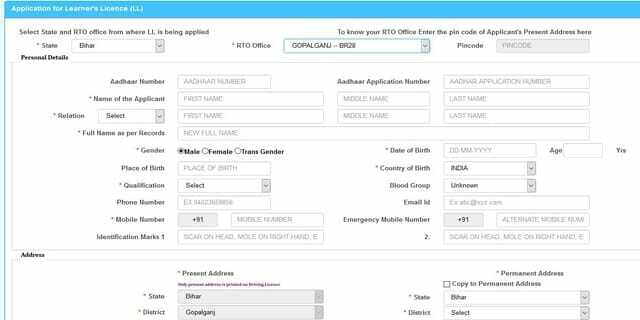 A new page will open like this, now click on "apply online". It will be expanded. 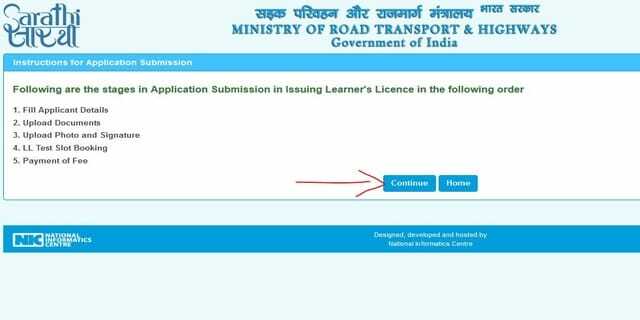 Then click on "New learners Licence". Now click on the continue. Select the desired option. 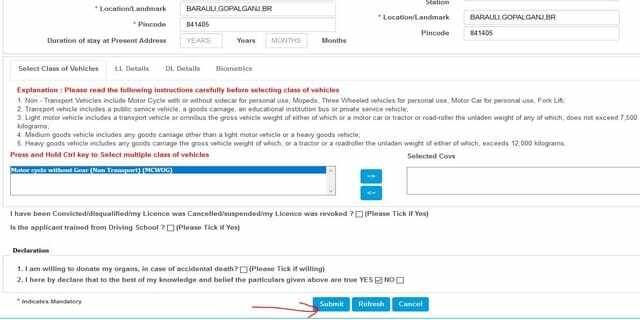 If you don't have any of the given options then simply click on the submit button. A new page will open, then fill the full form. A new page will open. Now complete all the steps. 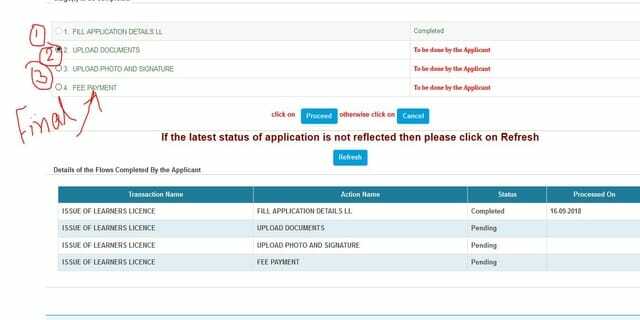 At last complete the payment through Debit/Credit card or UPI. 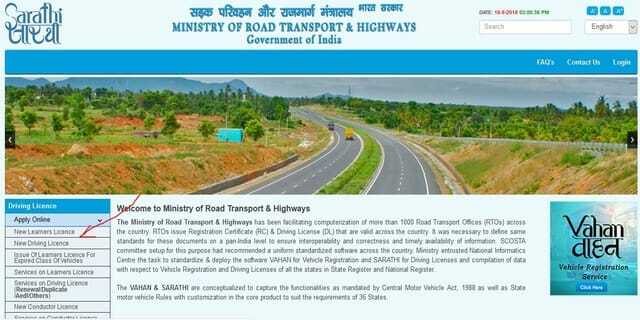 That's it, You have successfully applied for Driving Licence (DL). Thanks forr reading full article. I hope, You like this article. If you face any problem then comment below. I would definately reply your question.